While Idaho debates legalizing hemp, Oregon is moving forward with a gold mine in the form of CBD. This weekend, the first hemp store opens in Ontario. And the owners say it could be even more profitable than marijuana without the red tape and without the THC. Inside the Golden Nugget in Ontario, you can find everything hemp. Candy...Supplements...Even dog treats, and all of them infused with CBD. 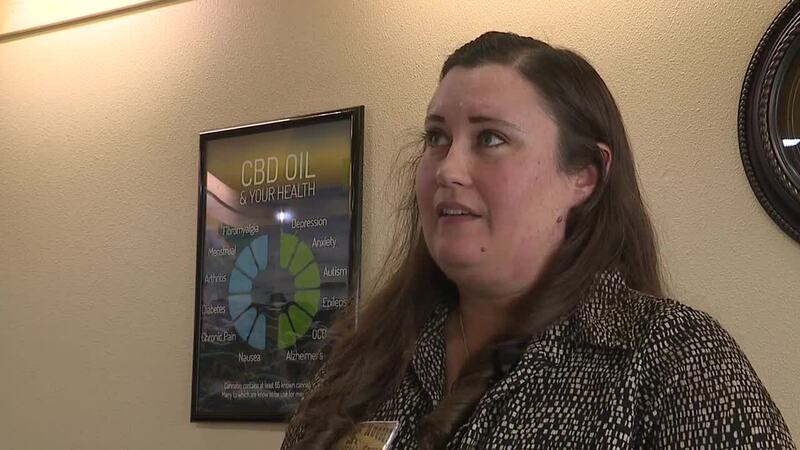 "Basically we wanted to provide high quality CBD products to our customer base." says owner Jennifer Long. Jennifer and her husband wanted to start a pot dispensary in Ontario when it became legal, but were shut out by the process. "Since that wasn't an option, we looked at expanding our CBD line." says Long. As a result, they're avoiding much of the red tape involved with pot which is still illegal federally. Everything from higher taxes to tougher security. "Dispensaries have to put all product away every night and be locked up versus here we just leave it out." explains Long. And hemp CBD may be the best move they ever made. The CBD market is estimated to reach 22 billion dollars in three years. "The industry is exploding so fast. From last year to this year it's up eight times." says Jim Hutchens, president of Treasure Valley Extraction in Ontario. He produces CBD, and says he can't make it fast enough, "There's thousands of products out there, just search the internet for CBD and you'll never finish reading them." The Golden Nugget has it's grand opening Saturday.